Ubud is said to be the creative and cultural capital of Bali. There are lots of arts and crafts elements here. Both from local artist but also the general junk available all over the world. 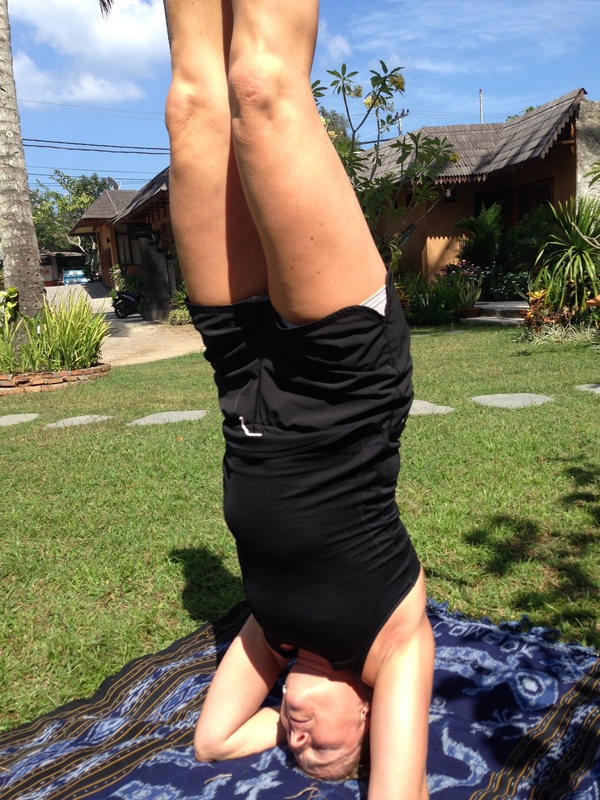 When it comes to yoga, I don’t think there is any place on Bali near what Ubud offers. A lot if this is because if Yoga Barn. We had our first session there yesterday and again two today. The campus is huge. Basically Yoga Barn is an industry in itself. There are several yoga studios on the premises, a cafe with food and drinks and a healing “department” as well. I have no idea how many locals are working there, but I can confirm it’s plenty. The schedule runs from 7:00 – 20:00 more or less every day of the week, so there are lots of different classes to take. It’s possible to buy a fixed amount of classes that brings the price of each class down to about 55 %. We each bought 20 classes for the first period, and then we’ll see after that. intimidating with all these tribal members. It is obviously close to a demand that the girls are to pierce their noses and boys must wear wide and baggy pants. And if you’re not vegan or vegetarian + order the wheat grass shots… You are not embracing your full potential and live in harmony with the world. Yes, I know I’m stereotyping. But I call it as I see it. But as there is might in numbers we are a ragged few guys who look as stiff as stone, uses Bintang t-shirts and shorts from Billabong. Booyah! And we give each other looks of encouragement when we struggle to do the moves, while the wheat grass guys flow like water from one pose to the next. So far we’re happy with what Yoga Barn has been offering and look forward to several more classes. With or without the baggy yoga pants.